I’m stating the obvious - you need both marketing and sales functions in your business to grow your revenue. Whether you’re one person wearing both hats or, your company has multi-person teams doing the work, there are certain realities. Marketing’s job is to generate leads. Sales’ job is to work leads and close them. You have two functions, two teams with the same ultimate goal - generate revenue. Marketing is rooted in advertising. Billboards and direct mail were major marketing tactic for years… and they worked, but no one knows exactly how well… because it is almost impossible to track the impact. And sales has traditionally been a slimy word – a person who reaches out to you out of the blue, who knows nothing about your needs or what you are interested in but tries to sell you a product. These sales tactics may not lead to a great experience for the buyer – but sales has always has the ability to track every dollar they generate for their company. But this is marketing today. It’s digital, it’s trackable, and it WORKS. Because marketing has changed dramatically as technology has improved, marketing can now be held accountable for their contributions to revenue – just like sales has always been. So the gap between marketing and sales has closed. And with the teams working side by side, it’s critical they work together. But, can you confidently say you know exactly what is happening with the leads after they kick over to sales? This is a very important question. Here’s a little test. Do both your marketing AND sales teams know the answers to these important questions? 1. What types of collateral are your high-value leads consuming? Do both your marketing and sales teams know what types of collateral a high value lead is consuming? Are they consuming eBooks, Whitepapers, Lists, Infographics, Webinars? Which ones? 2. What questions on forms are good barometers for your company’s leads? 3. Do both sales and marketing teams know the expectations for lead follow-up by sales? 4. What are the top reasons a lead does not close? 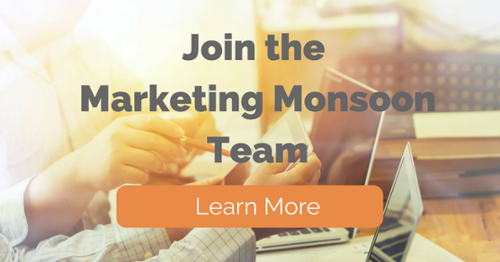 Can both your sales and marketing team list the top 3 reasons? Chances are high that either your marketing team or your sales team know the answers to these questions. Very rarely are both teams on the same page. So, this stat probably comes as no surprise to you… 87% of the terms sales and marketing use to describe each other are negative. Sales and Marketing can NOT be two different departments, and two different entities that do not work together and compliment each other. They have to work together within their own organization. Sales and Marketing HAVE to collaborate for the company to win. Sales and marketing should both be solving for the customer and be working together to provide value to their company. But we all know we get bogged down by our day-to-day jobs and don’t have time to remember to loop in other teams. That’s where Smarketing comes in. Smarketing helps sales and marketing teams work better together and makes it part of their normal process. Smarketing is the process of aligning the sales and marketing teams around common goals within a business or organization, focused on improving revenue. So why is it critical to your company's success? Collaboration of the sales and marketing teams boils down to one thing, no matter which way you slice it. Sales and Marketing are two halves of the same team - Team Revenue. How do you do it? How is this possible? We’ve broken it down into 5 steps. Here are 5 steps you can leverage to integrate Smarketing into your company in order to get your sales and marketing teams work better together and both realizing that they play for the same team: TEAM REVENUE. The first step for sales and marketing to start speaking the same language is to define your funnel. Working with key marketing and sales stakeholders, make sure to clearly outline each team’s role in the funnel. In this sample funnel the first two stages are marketing’s responsibility. The bottom two stages are sale’s responsibility. The stages in the middle are shared marketing and sales responsibility. Now it’s time to define the stages, identify what qualifies people for each stage of the funnel and make sure everyone on your sales and marketing teams know this information. The end results should look something like this. 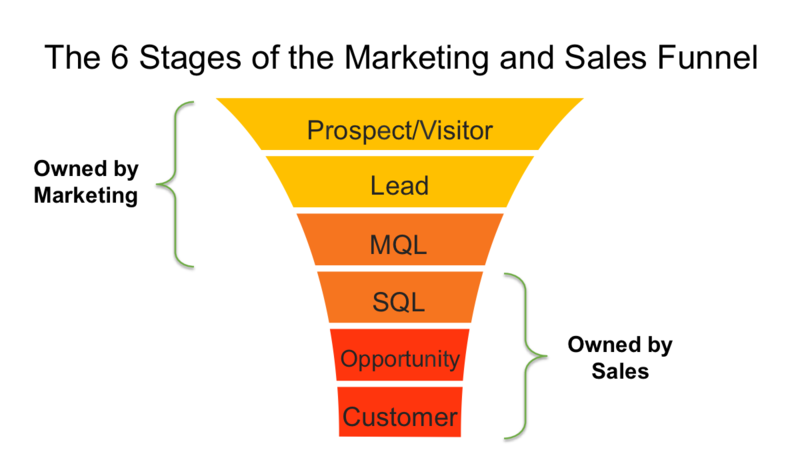 Everyone at your company should know what qualifies a person to be a prospect/visitor, lead, Marketing Qualified Lead (MQL), Sales Qualified Lead (SQL), Opportunity and Customer. This is the foundation for all other steps to getting your sales and marketing teams to work together and integrating Smarketing at your company. A Sales-Marketing SLA defines what each team commits to accomplishing in order to support the other in reaching the shared revenue goal(s). This type of SLA can work two ways. 1. Marketing commits to delivering a certain quantity and quality of leads to help their sales team hit their quota. 2. And sales commits to follow up on those leads in a timely manner and make a specific number of contact attempts before abandoning the lead. Here are some ways you can think about calculating how many leads a sales rep needs to make quota. How many leads of a certain quality does a sales rep need to make quota? You can see there are a few different ways to think about it, and it will vary depending on what you consider a quality lead. Again, this conversation and exercise should be done as a joint effort between the marketing and sales teams. An SLA is key because it ensures sales and marketing are both working towards the same goal. Just having the meeting with you sales and marketing team in one room, looking at metrics side by side, is a huge step in the right direction. An SLA crystalizes the alignment around goals. No questions, no second guessing. Once there is an agreement, both teams can work with passion and purpose to meet and surpass well defined goals. OK, so you now you’ve got your funnel so you’re speaking the same language, and you’ve set your SLA so you are aligned and working towards the same goals. Now it’s time to make sure both teams are staying on track. 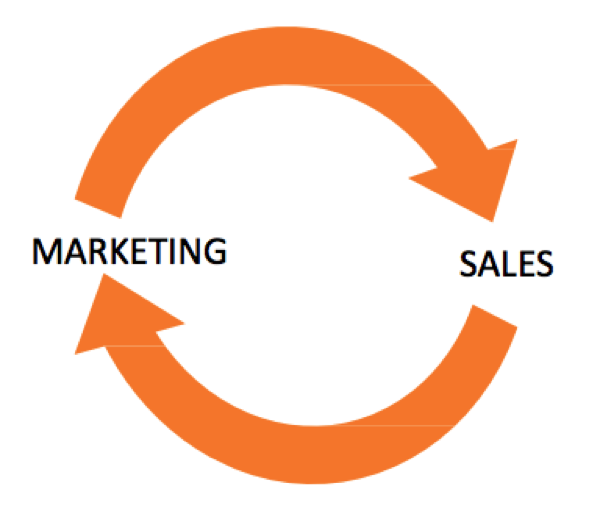 Closed loop reporting ensures that a proper feedback loop is set up between marketing and sales. Closed loop reporting sets up a way for marketing and sales to talk to one another, while having a positive effect on marketing and sales ROI. Yes all of those bulleted points under the benefits for sales and marketing are real and can be measured… they are not just pie-in-the sky ideas that sound too good to be true. Provide a timeline of all of the interactions a contact took prior to becoming an MQL or a customer. Pass information to sales that can help aid them in connecting and engaging with contacts within the first 24 hours and send automatic updates to your sales team when their leads revisit the website or take other key actions, to make sure to follow up at the best time. Data is the next key to integrating Smarketing at your company. Dashboards are a great way to consume and share data. You can reference or share them at anytime, with anyone within your company. They can help identify and troubleshoot any issues you may be experiencing. Dashboards also ensure that both teams are looking at the same numbers. In addition to dashboards, it’s really helpful to do a monthly marketing report. This can be an official document, a PPT deck that is sent over email, or it can take the form of a monthly in person meeting – where marketing and sales BOTH report on their past month’s performance. This should dig into all the important metrics like your SLA as well as your other funnel metrics. You should evaluate and share why Marketing did or did not hit targets. Besides sharing your stats in a monthly meeting for your sales and marketing teams – leaders in both your sales and marketing teams should come together for an in-person meeting to get on the same page about team successes, product information, persona education and SLA waterfalls. This is a time where you can look at your shared dashboard and address any concerning trends – this opens the conversation up everything from lead flow and quality, to hiring plans for your sales team. 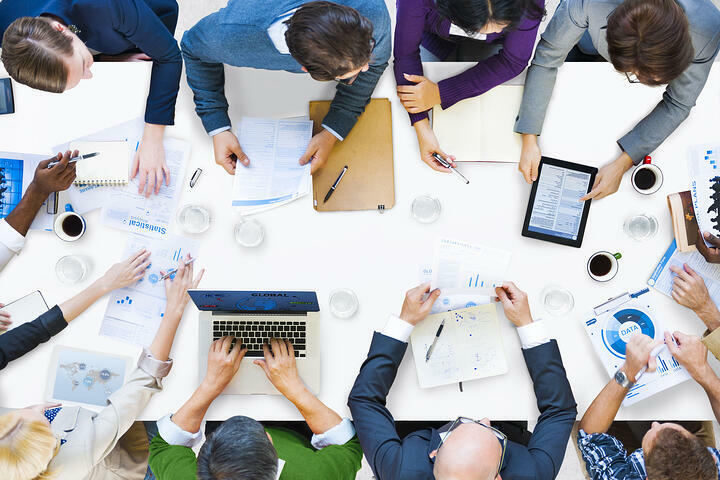 Meetings cover major communication on a monthly basis. This is great, but it doesn’t solve for the day to day. Marketers should Market your company’s campaigns to your sales team in emails and easy to digest formats as well. And whether you sell a physical product or a service - things are always changing! Because marketing needs to create collateral (web pages, spec sheets and so on) about updates to products and services, they’re in the know before sales – Marketing should take the responsibility to train and arm the sales team with the details of these changes, and the positioning for why customers/prospects will care. These 5 steps will help bring a successful Smarketing practice into your organization. One of the most important things to keep in mind when integrating a Smarketing practice to your company is to rely on data, not emotions. You need to separate reality from perception. Finger pointing and failure to collaborate will result in a sinking ship. Following the 5 steps will ensure you set up a strong and successful Smarketing practice within your organization and that sales and marketing will live in a productive harmony.